Ever wanted to set a video as your desktop wallpaper? 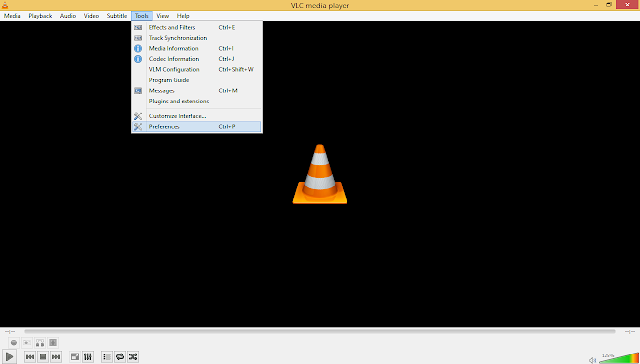 VLC Media Player can work that out for you with just few steps. VLC Media Player is a very advanced media player with lot of hidden tricks and tips that’s not known to all. Previously, I briefed you guys on how to RIP a DVD using VLC Media Player. In this guide, I’ll walk you through the process on how to set a Video Wallpaper using VLC Media Player. All you need is the VLC Media Player program on your computer, the video you wish to use wish to set as wallpaper and follow the simple guide below. 1. Firstly, launch the VLC Media Player. 2. Now, click on tools from the navigation bar, and then scroll down and click on preference. 3. After that, click on Video at the top menu. 4. Getting to the next windows, under Output, select DirectX (DirectDraw) video output, and then save the setup. 5. Now, close and restart the VLC Media Player, maybe, you can launch the video you wish to set as wallpaper with it. 6. After that, while the video is playing with the VLC Media Player, simply right click on the video and click on “Set as Wallpaper”. That’s all on how to set video wallpaper using VLC Media Player. Follow the above method and watch video play as your desktop wallpaper. If you encounter any problem during the process, feel free to let me know. Don’t forget to share this trick with your friends. and you enabled the directx video output?